Where were you born and raised? I was born in Ohio, raised in Southern California. When did you begin running? When I was in the military and the police academy. After that I only ran when I had to run. It wasn’t until 2012 that I started running with any frequency. After a hiatus 2016-2017, I am back at it full throttle. How did you get started running? I was on a journey to lose weight and got introduced to Jim and Linda. Before you know it, I was a regular Tuesday and Wednesday nights. 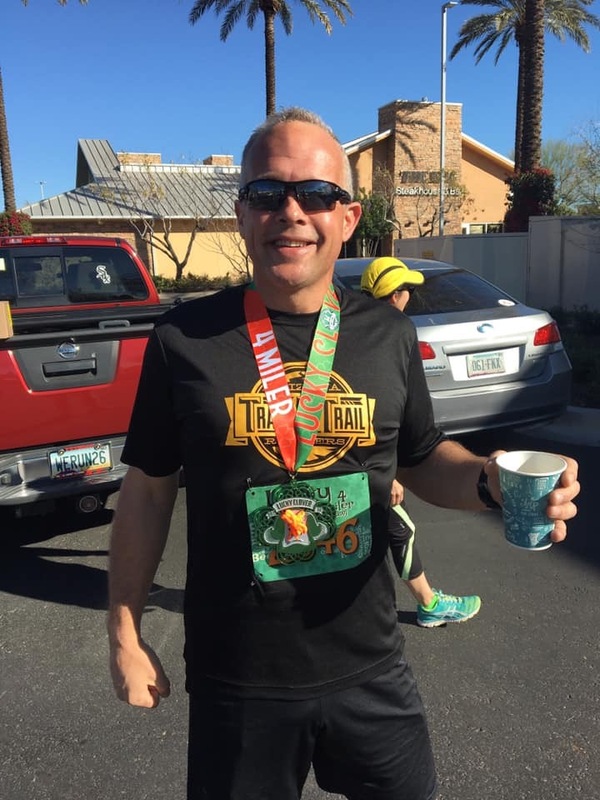 Favorite distance to run: I really enjoyed the Rock n’ Roll Half-Marathon. That is my new favorite distance! But I’ll hit up any 5k I can (because they have some cool bling). Favorite race: Any Spartan Race, Tough Mudder, or other obstacle race. For a road course, the Rock n’ Roll half-marathon. 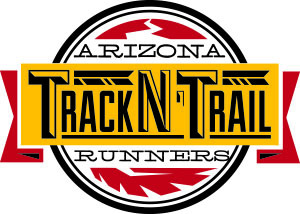 Favorite Track N Trail event: I had an amazing time at the 1stannual AZTNT Fireball. But any event where I’m surrounded by my AZTNT friends is a favorite. Favorite place to run: I love the trails! But in a pinch, you can usually find me on the canals. Favorite Song to Listen to while running: I have far too many songs, and my playlist is a cornucopia of music. If I had to pick one “Whatever it Takes – Imagine Dragons”. If you could run anywhere in the world where would it be? Hawaii…it’s on my bucket list to be able to run through Pearl Harbor alongside some of the greatest historical sites from World War II. Other Hobbies: I have been a private pilot since 1997. I have built one airplane and sold it. I am working on my second airplane now. I’ve also built a teardrop trailer and remodeled my own house back in 2016. Advice for new runners: Whether you’re fast or slow, every mile you put down is an improvement. Push yourself and never give up!